You and I both know that puppies are busybodies! They are constantly exploring their surroundings, testing out what they can eat, play with, or chew on. While their bodies are developing, puppies also have a habit of going to the bathroom whenever, and wherever their bladder tells them they have to go! Teaching your puppy to love their crate will help keep them safe, protect your belongings and help with potty training. Here are five tips and tricks to making your puppy’s crate their favorite place to rest! 1. Properly exercise your puppy! 2.Meal time is crate time! Take at least a portion of your puppy’s meal and toss it directly on the bottom of the crate (not in a bowl.) This helps to create a positive association with that space and also will discourage accidents from occurring in the crate. Dogs do not like to “go” where they eat. Providing anything soft in your puppy’s crate poses a few problems. A blanket, towel or bed could become a choking hazard or an intestinal blockage if your puppy manages to swallow a portion of it. Puppies may also learn to do their business on the bedding and then push it off to the side so that they do not have to sleep in their own mess. Do not start off with leaving your puppy alone in the crate for a few hours. In fact, it is best to let your puppy explore the crate without even closing the door until they are confidently going in on their own. When your puppy is ready to be closed in their crate, practice in short increments of ten to fifteen minutes and slowly build the duration. Be sure to give your puppy a safe toy, such as a Kong filled with food, to entertain them while you are away. 5.Get the right sized crate! Dogs have a tendency to grow more anxious with the more space they have. Keeping your puppy confined can help teach them to relax and not become anxious when separated from you. Your puppy should have just enough room to stand up, turn around and lie down in their crate. 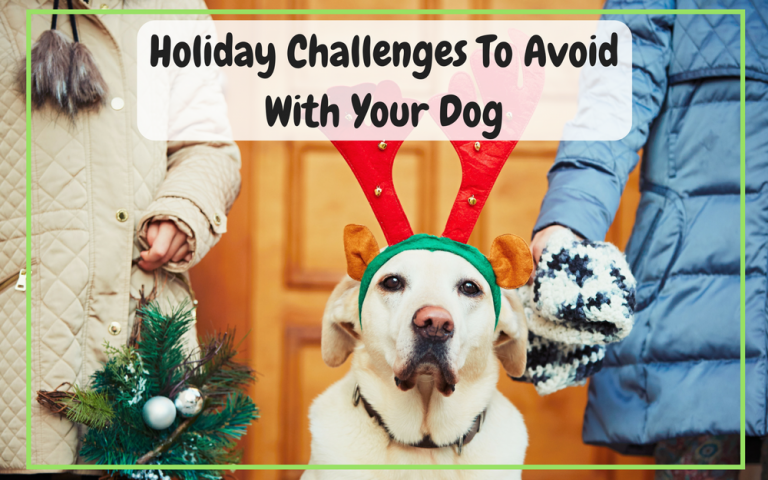 This will keep them from building their anxiety by pacing, as well as discourage them from going to the bathroom in one end and sleeping in another. What is one thing you’ve done to make your puppy feel more confident and happy in their crate? Let us know in the comments below!